The sE Gemini II is the larger-than-life answer to your vocal tracking needs. It's not just large in stature - it's HUGE in sound. The videos on this playlist were recorded live at Paste Magazine Studios in NYC. Thanks to sE Artist Bennett Lewis (Of Montreal, Lera Lynn, HoneyHoney) for playing on these first three clips! 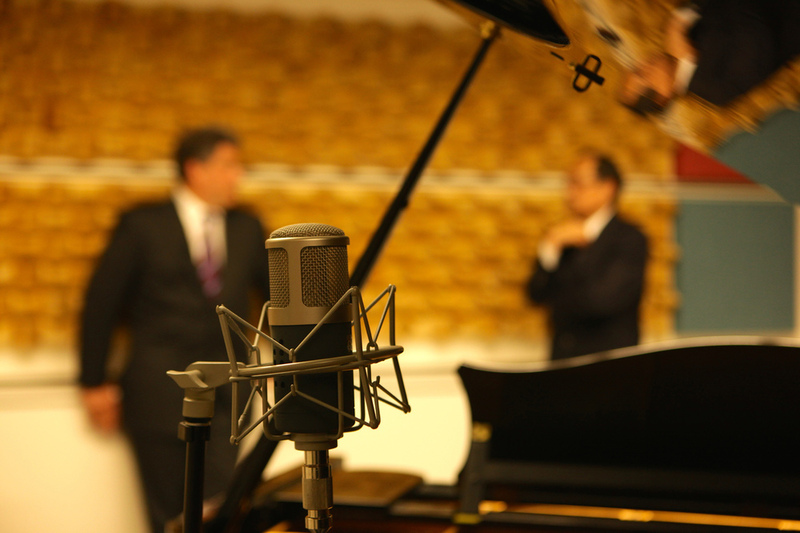 "The mic is an absolute pleasure - easily competes with mics at twice the price point. Really warm and rich, yet plenty of high end sparkle. 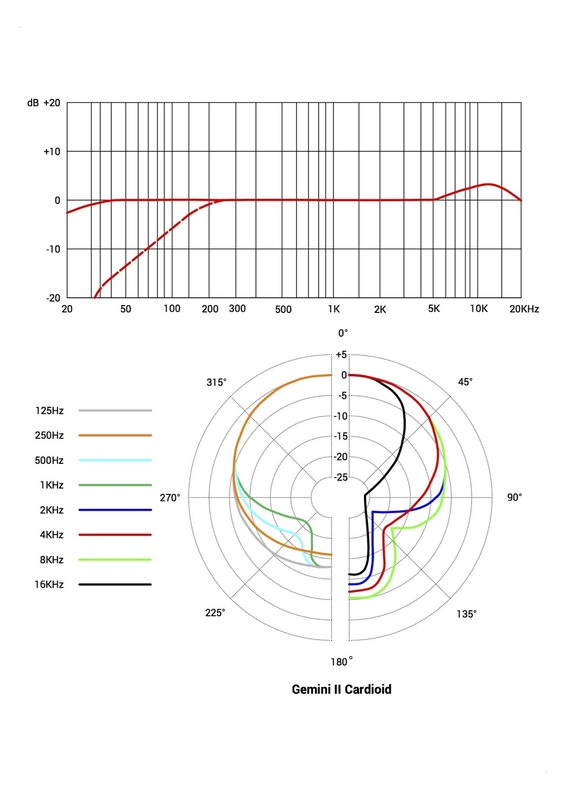 While some folks might consider it primarily a vocal mic, I've had some of my best results on acoustic instruments. It really captures mandolin and small bodied guitar nuances quite accurately." "The sE Gemini II is both the beauty and the beast. It demands attention, both visually in the studio, and aurally in the mix. With its clarity and detail, it's an easy go-to choice for vocals and much more." "The transformerless design would appear to combine the most recognizable attributes of tube and solid-state microphones, providing the expected tube warmth and low-end weight but without losing the high-end sizzle, as can happen with 'tube plus transformer' designs." "Because of its high-end clarity, the Gemini II also makes a useful instrument microphone, its capabilities extending from acoustic guitars and other plucked instruments to percussion and wind." "I am incredibly impressed by the seemingly contradictory combination of warmth, crispness and definition that was captured in the tracks by the sE Gemini and Reflexion Filter Pro...the songs we were working on had dense arrangements yet the sax cut through without ever sounding abrasive or disconnected from the rest of the track...it was a beautiful, natural sound -­ we didn't even use any EQ." "The Gemini has a unique sound with great character. One thing that was instantly noticeable about it was its upper mid to high frequency boost. After hearing some voiceover using this mic, the warmth in the bottom was also quite apparent." "Overall everyone during the tests were very pleased with this mic and a few people were surprised that it didn’t cost more money. The mic has a quite a presence. It’s built like a tank." "We were all floored by how this beastly microphone seemed to transcend the price barrier and provide AMAZING results for the money." "If you want a mic that gives you smooth vocals, warm acoustic guitars and just leaves you satisfied from the moment you turn up the gain on this beast, look no further." "It picks out nuances that you wouldn't expect from a tube. Adds a bit of tone, but is extremely clear." "It's big and it delivers. This is always a go to mic for vocals in my studio. It has warmth, a sweet top end, and it just sounds right." "Background noise is almost non-existent and it shares a spot with the best mics for this." "Impressive to stand in front of, and impressive results. A favorite in my collection."